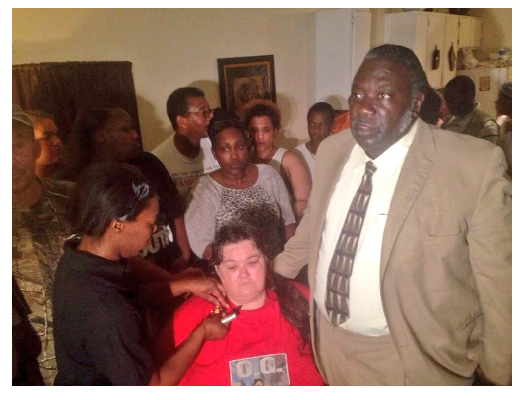 Police had arrested Smith on outstanding warrants and put him in a patrol car with his hands cuffed behind his back, GBI spokeswoman Sherry Lang said in a written statement reported by The Associated Press. Smith was able to move his hands to the front of his body and kick out a window of the patrol car, Lang said. 2005-"Particularly interesting was one arrest for “interference with government property,” in which the arrest report indicates that after being placed in a police cruiser Smith “knocking out the back windows with his head”–eerily similar to his behavior following his Thursday morning warrant arrest by Officer Jannot." Word is there will be video released of the arrest, but probably not the action from the back seat of the cruiser or Charles pulling a gun. I don't believe there are "dash" cams on the driver and passenger sides of the cruisers. The Georgia Bureau of Investigation have been called and the officer involved has been put on paid leave until after the investigation is completed. It is not yet known what sort of warrants were outstanding for Smith, but he was in prison in 2013...as evidenced by the photos on his facebook page, where he states his occupation as "Worked at Robbery extortion and all types of fuckry". Charles Smith proudly taking illegal photos from his jail cell. 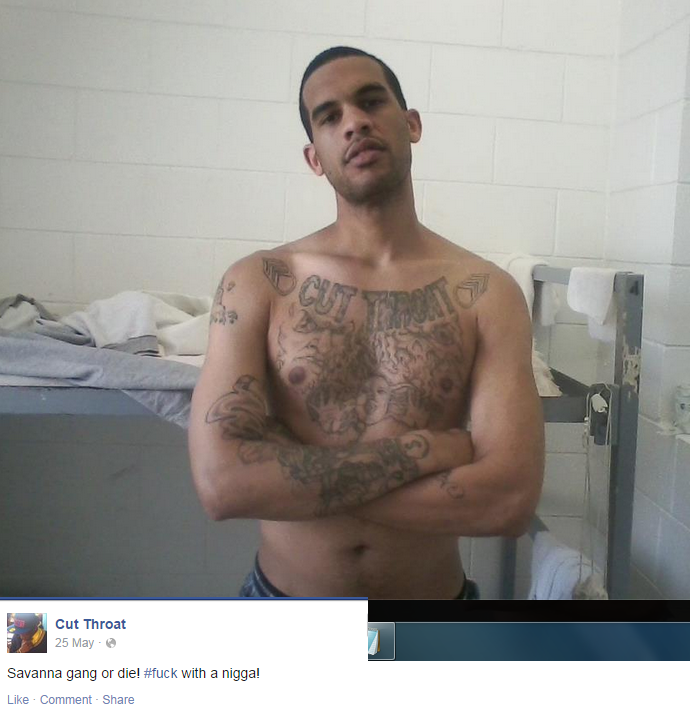 "Cut Throat" is not his FB, but a "friend". Charles Smith was a repeat offended dating back to 2004 - ten years ago which would have made him 19 when his first offense was publicly recorded. Of course we know that means there were likely more on his juvenile record. 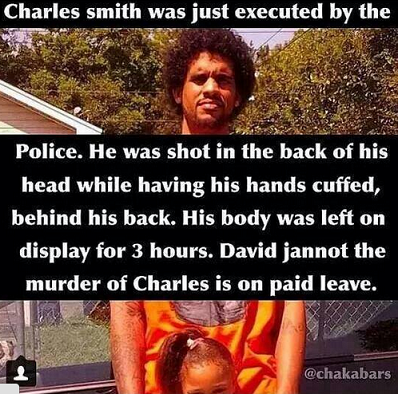 Although his family stated to reporters yesterday that Charles' only criminal offense was "stealing a car", his offenses ranged from theft, aggravated assault, gun possession, cruelty to a child, and cocaine possession. 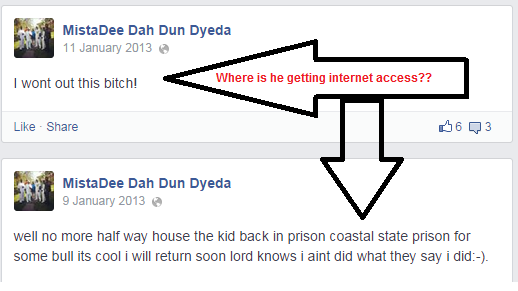 His last incarceration was in 2013. Cruelty to a child (he has four children)... this is where he loses ANY empathy I might have had for him. 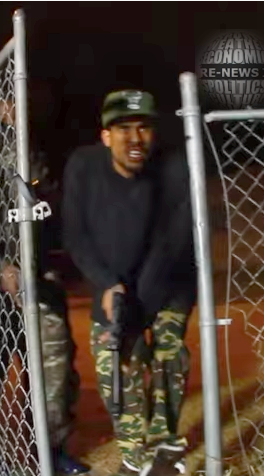 Charles did a very violent music video, FLY FEAT MISTA DEE "I MIGHT" a short while ago. 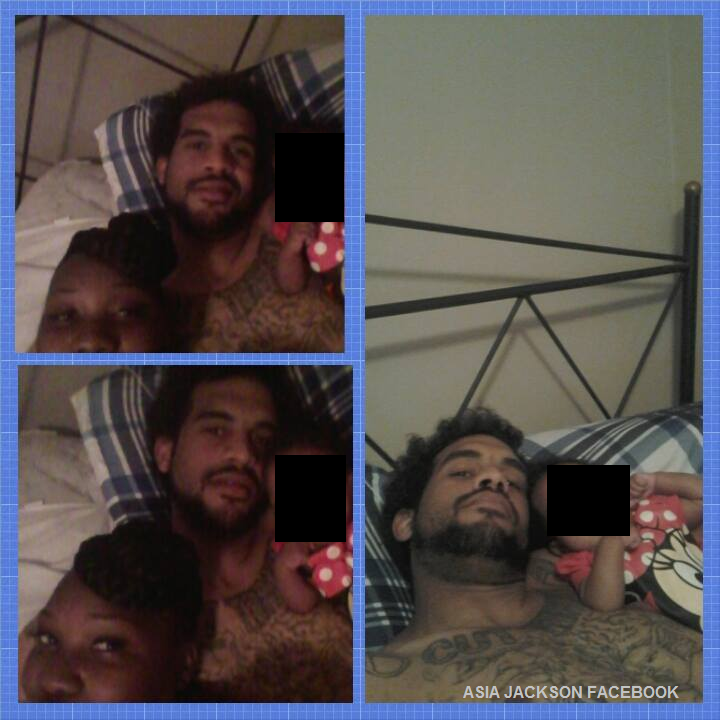 Family members said Smith was the father of a 5-month-old, and had another child on the way. 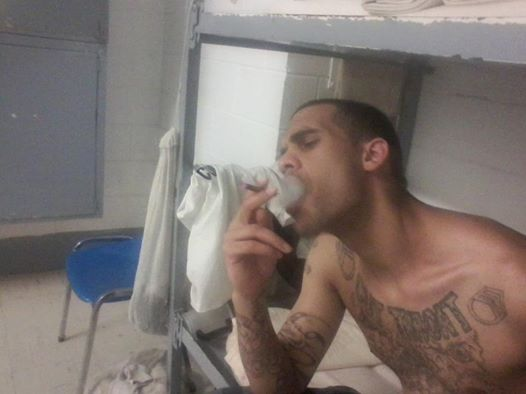 Among the facebook pictures belonging to Charles Smith (discovered by @TheTrialFile almost immediately after the shooting), one thing that stuck out for me was the tattoo in his prison photo above. "Cut Throat" is tattooed across Charles' chest. 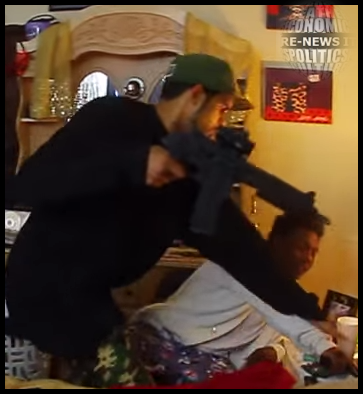 Researching "cut throat", I found everything from a violent gang to music labels, so I'm not sure what the exact meaning is behind his. Police Identify Cut Throat gang as Athens (Georgia) new threat: An Athens street gang was publicly identified for the first time in a document recently filed in Clarke County Superior Court. In an affidavit for a search warrant, an Athens-Clarke police detective identifies armed robbery suspect William Steven “Solo” Smith as affiliated with the Cut Throat Gang. Though multiple street gangs exist in the Athens area, the Cut Throat Gang was never before publicly mentioned by police. I also remembered another tattoo from a horrific story almost two years ago. Man with 'cutthroat' tattoo accused of slashing teen's throat for $350 as police describe scene as like opening 'a doorway to hell' [link] A man with a distinctive 'cutthroat' tattoo on his neck has been charged today with brutally slashing a teenagers throat from ear-to-ear as he robbed him of $350. Norristown, Pennsylvania, resident, Shakeem Carter, 20, is accused of stabbing 17-year-old Kevin Allen 20 times in the head, back, and neck with such violent force that the knife he used in the attack became bent. After slitting Allen's throat, Carter is then said to have covered the body with cooking oil, setting him on fire in his home after breaking in to rob of him the money on February 12th. Having a "cut throat" tattoo seems to be a favorite of criminals. Man With "Cut Throat" Tattoo Escapes Spartanburg Home Detention: Spartanburg Police officers and county sheriff's deputies are searching for a man who escaped from home detention. Prosecutors: ‘Distinctive tattoo’ helped police identifiy alleged killer of 66-year-old Gold Coast shop owner: A “distinctive tattoo” led police to a Champaign man who allegedly fatally shot 66-year-old Gold Coast shop owner Herbert Goode in early March in the Gage Park area. As always, thanks to Echelon!